Nigel is an experienced Collaboratively trained Family Solicitor and an Accredited Family Mediator dealing with a wide range of family matters, including financial issues and private children work through his own practice based in Kent, Sussex and Surrey. Nigel passionately believes that ‘dispute resolution’ offers many clients a better way to resolve difficulties arising from separation and divorce. Nigel is an Accredited Specialist with the Law Society Panels for Advanced Family and Family Mediation and is an Accredited Resolution Specialist for Finance and Children. Nigel’s priority is to provide the highest quality advice, care and support to clients facing the pain and trauma of family breakdown in a sensitive, thoughtful way that meets the needs of the individual and their family. Nigel has considerable experience of dealing with a wide range of family disputes including divorce, financial remedies, children, prenuptial agreements, cohabitation disputes and inheritance claims. 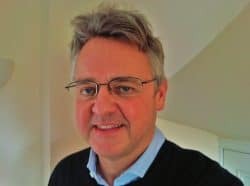 Nigel is a Resolution Trainer and also provides supervision, training and support to Solicitor Mediators and other Practitioners and is a Law Society Panel Assessor for the Advanced Family Law and Family Mediation Panels.